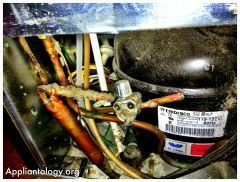 These are known sources of refrigerant leaks. Even if installed perfectly, they will leak about 1/2 oz. of refrigerant/year.